Work stations are the link between the person and warehouse technology. KNAPP places the warehouse worker at the centre of the goods-to-person work stations in the Pick-it-Easy series. KNAPP calls on over 15 years’ experience of designing goods-to-person work stations to create Pick-it-Easy, combining efficiency, flexibility and quality with excellent ergonomics. When people are at work, mistakes do happen. That’s why KNAPP offers an extensive portfolio of solutions and add-ons so its work stations can guarantee high quality, time and time again. The Pick-it-Easy work station series successfully combines efficiency, ergonomics, precision, cost-effectiveness and cutting-edge work station design for use in the industrial sector. Pick-it-Easy work stations reduce the number of monotonous and strenuous tasks involving lifting, stooping and stretching to reach objects. At the same time, they boost efficiency in order processing as well as the quality of deliveries and services. 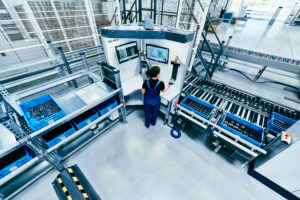 In developing the Pick-it-Easy series, KNAPP has applied its zero defect philosophy to the world of work stations. 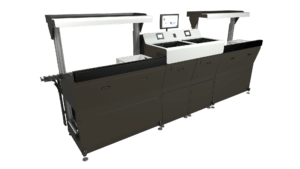 The ergo-dynamic KiDesign, the easyUse intuitive user guidance system and automated checks within processes guarantee maximum quality and performance. More than 600 Pick-it-Easy work stations are in operation around the world. 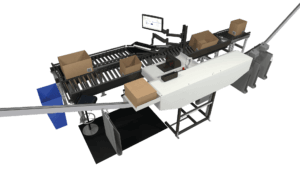 Pick-it-Easy is designed for use in diverse order processing and distribution centres, as well as in industry. The work stations in the Pick-it-Easy series are devised with an assortment of industry-specific applications in mind and are also adapted to individual customer requirements. This is why the Pick-it-Easy series is based on a modular system – it means the work stations can be tailored to specific demands. Highly versatile – Pick-it-Easy Shop is a versatile work station that is designed specifically for handling heavy or sensitive articles. What makes Pick-it-Easy Shop stand out is the fact that different heights of containers and cartons can be processed ergonomically. The modular design of Pick-it-Easy Shop means that its different variants can be customized. Starting orders was never easier – Pick-it-Easy Shop Light is configured from the modular system of the Pick-it-Easy Shop work station. 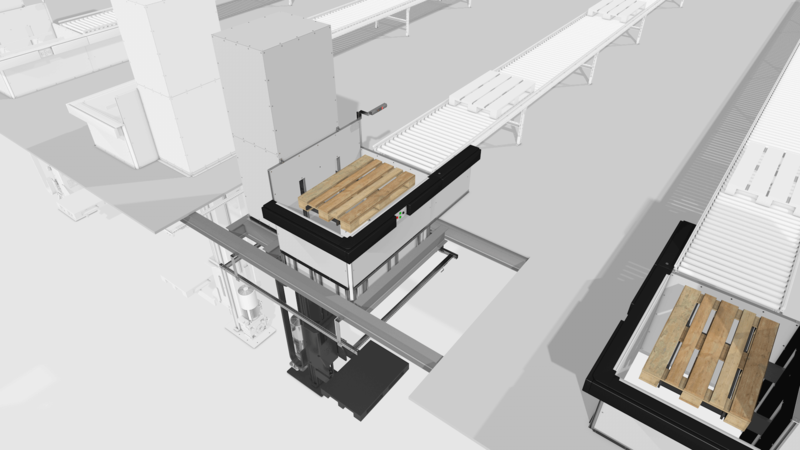 This work station is ideally suited to manually processing different heights of cartons in areas where the demand for high throughput is less intense. The multi-talent for every business – Pick-it-Easy Multi is an innovative hybrid work station where flat-packed goods are repacked into Sorter Pockets and dispatch cartons. 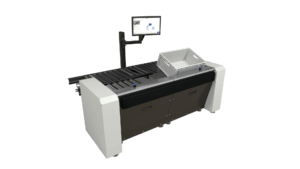 Regardless of whether the product is delivered directly to the customer or to a shop, centralized processing at the Pick-it-Easy Multi work station separates all picking tasks from the sales channels. 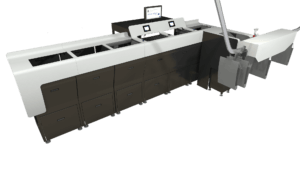 Pick-it-Easy Multi is ideal for use in multi-channel and omni-channel retail, in fashion and textile, as well as in online retail. Pick-it-Easy Multi is unique on the market and has a patent pending. A great team – Pick-it-Easy Pocket with Pick-it-Easy Pack is a smart work station pairing used to merge flat-packed and hanging goods. Flat-packed foods are transferred to Sorter Pockets at the Pick-it-Easy Pocket work station. The goods in Sorter Pockets are merged with hanging goods at the Pick-it-Easy Pack work station. 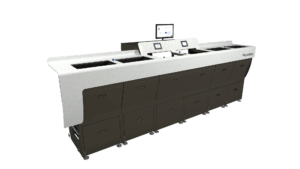 This pair of work stations can process a wide range of goods efficiently, regardless of order structure, making it ideal for multi-channel and omni-channel applications as well as for e-commerce. Shop-friendly delivery for all – Pick-it-Easy Tray is a semi-automatic picking system for the efficient assembly of stable roll containers, cool containers and pallets. The Pick-it-Easy Tray can also be used as a decanting work station. Pick-it-Easy Tray not only guarantees maximum picking performance and packing density, it also ensures an ergonomic way of working. Specifications such as shop-friendly delivery, sorting goods into groups or “top only” arranging are easy to integrate in the picking process with the help of the KiSoft Pack Master software module. Pick-it-Easy Tray is incredibly versatile and is particularly well suited to processing fresh foods and shelf-stable goods in food retail, as well as in the retail and manufacturing sectors. Its design is based around a modular system; each individual work station starts with this modular design and is then adapted to specific requirements. as well as different designs can be configured. A multitude of options and add-ons (scales, tilters, etc.) are available. Vision Cube makes capturing debossed data simple and can be used along the entire pharmaceutical supply chain and in the cosmetics sector. Vision Cube is an efficient and reliable solution for receiving goods and registering returns. As a result, KNAPP offers a solution you can rely on for processes prone to errors that require a lot of time and expense. What’s more, Vision Cube supports modern man and machine communication; each reading is displayed along with the article image. Simple and intuitive operation means that only minimal training is needed for Vision Cube and resources are used efficiently. Vision Blister is a solution specially developed for the pharmaceutical supply chain and has proven to be incredibly effective in mail order central fill (MOCF) systems. It carefully checks tablets in special blister packs. 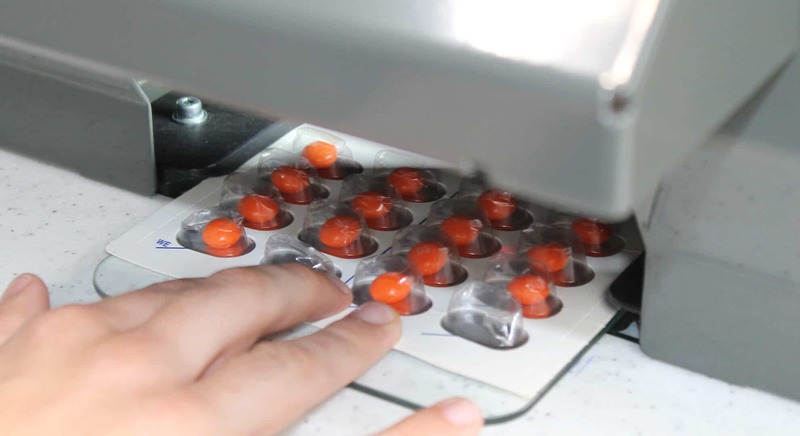 Vision Blister records and checks the colour, shape, quantity and imprints of the tablets, in order to meet quality criteria and protect patient safety. As a result, it ensures resources are used effectively – time-consuming manual checks carried out by specially trained employees are a thing of the past. 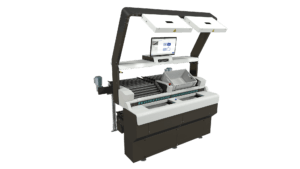 KNAPP ensures checks are efficient and achieve high quality with the help of Vision Item Check. High demands for quality require time and are usually achieved at the cost of throughput. 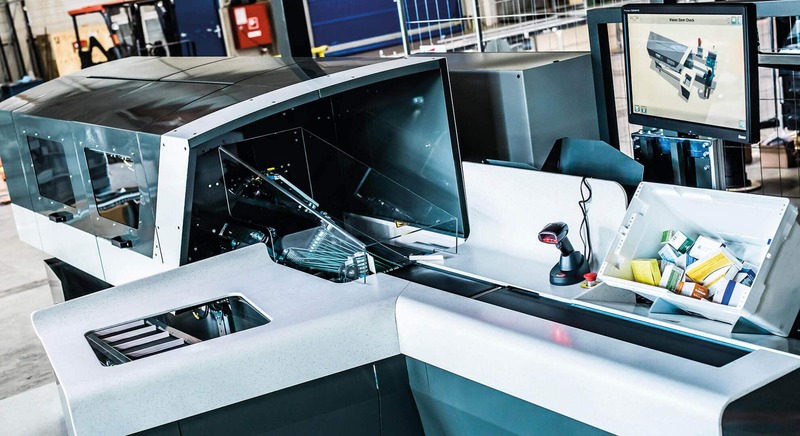 Vision Item Check manages both – maximum quality and high performance. It’s ideal for special check stations downstream of automatic picking areas. The image recognition and image processing system of the ivii.smartdesk captures all components used during assembly. Each work step is reliably validated. The next step can only be carried out when the previous one has been classed as „OK“. 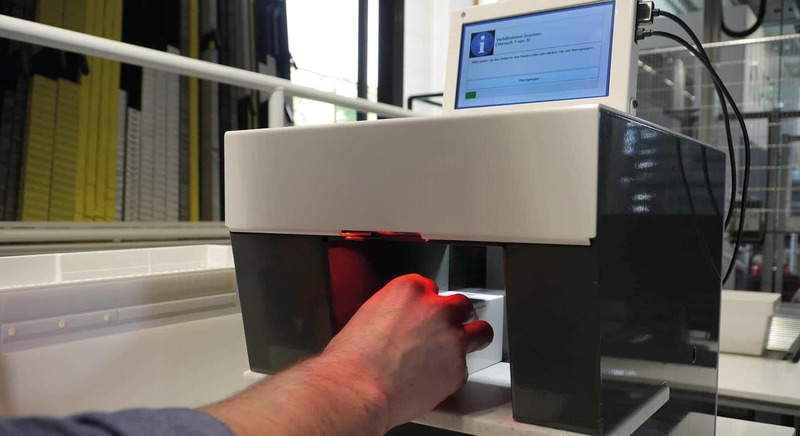 Thanks to a real-time feedback system, personnel receive an immediate evaluation of the quality of the step taken. Thanks to the real-time feedback system, the employee receives immediate feedback on the quality of the work step. On the one hand, our solution gives our employees the certainty that they will not make mistakes and, on the other hand, increases the company’s success through a significant and lasting reduction in process costs.